It was an eventful afternoon at Bathurst Golf Club, as the Peter O'Malley Junior Masters Boy's Division finished with joint winners. After finishing tied on two over par after 36 holes, a playoff was required to decide the winner. With Ripudaman Singh (Lynwood) struggling, and in the hole for 6, Keegan Phillips (Toukley) looked to have the event wrapped up as he stood over a short putt for a par 4. However, after holing the putt for a win, Phillips realised he had not replaced his marker after earlier moving it to repair a pitch mark. After phone calls to rules officials to ascertain the correct ruling, Phillips was given a 2-shot penalty, meaning both boys had finished with 6 on the hole. At this stage it was deemed too dark to continue the playoff, and boys were awarded joint winners. It was a much simpler affair in the Girls Division, with defending champion Annika Boyd (Pymble) surging in front after nine holes of the 2nd round. Annika's first bogey didn't come until her 16th hole, but by this time she had done enough, and birdie on her final hole was the cherry on top. The 2019 JNJG Academy Challenge was claimed the Illawarra Academy of Sport. The team of Eddie Ward (Kiama), Brad Wills (Links Shell Cove), Ethan Harvey (Kiama) and Sienna Clarke (Vincentia) finished on a total of 438 to secure a convincing victory. Congratulations to all the Academies that participated, as well as all the Team Managers that travelled with the squads to the event. Earlier results saw Selena Bosevski (Port Kembla) overcome an overnight 2 shot deficit to claim the Girls 14-15 years division. Ella Murray (Dubbo) claimed the Girls 12-13 years with consistent rounds of 76 and 76. Millie Komulainen (Long Reef) claimed her first win at a Junior Master Event in the Girls U/11s division. In the boy's results, Ali Rachid (Kogorah) also overcame a formidable lead by reeling in 5 shots to take out the Boys 14-15 years division. Kai Komulainen (Long Reef) proved too strong again for his fellow 12-13 years boys, and an impressive -2 round of 69 granted him an 8 shot win. It was another playoff for the Boys U/11s division, with Enzo Moon (Strathfield) emerging victor of Toby Farrar (Lynwood) on their 2nd play hole. Defending Champion Annika Boyd (Pymble) has destroyed her rivals with a final round 69 to make it back to back Peter O'Malley Junior Masters Titles. In the Boys Division, Ripudaman Singh (Lynwood) and overnight leader Keegan Phillips (Toukley) have headed for a playoff after the pair finished the tournament at two over par. After a foggy start to Round 1, it was Charlotte Perkins (The Australian) and Keegan Phillips (Toukley GC) who lead their respective leaderboards. Perkins got off to the perfect start with a birdie on her opening hole. 2 more birdies on her front nine mean’t Charlotte made the turn at even par. Her overnight lead looked to be formidable with 2 holes to play, but 2 late bogeys meant she would sign for a 2 over par, and be 2 shots in front. The story was much the same for Keegan Phillips in the Boys division as he begun his round with birdies on his 2nd and 3rd holes. Making the turn 2 under, a bogey on Phillips 16th hole looked to derail the round. But Phillips bounced back with a birdie on his final hole and finished as the only player under par. Play is underway in the 2019 Peter O'Malley Junior Masters at Bathurst Golf Club. The biggest Junior Masters field in recent history will make Bathurst a popular place this weekend as a capacity field of 224 junior golfers from across the state take part in the 2019 Peter O’Malley Junior Masters at the Bathurst Golf Club. Tournament Host Peter O’Malley will also be in town over the weekend to watch the talented juniors play on the golf course he grew up learning on himself and with some rain falling in Western NSW over the past week, the golf course promises to be presented in fantastic condition. There will be one player looking forward to competing at Bathurst this weekend more than most, 2018 Girls Defending Champion Annika Boyd (Pymble). Bathurst remains a happy hunting ground for Boyd who claimed her first JNJG Junior Masters title with victory here last year and she'll be looking to go back to back in 2019. The Central Coast teenager will face stiff opposition from Amber Thornton (Queanbeyan), Yerin Kim (Strathfield), Taylah Ellems (The Lakes) and Charlotte Perkins (The Australian). Young guns Ann Jang (Toukley) and Nara Shin (Lynwood) will also face the biggest test of their junior career so far, with the 11 Year Olds stepping up a Division to compete against the big guns for the overall title despite not turning 12 until later in the year. As always, the local hopes will fall to 16 Year Old Casey Thompson who will be hoping to use her home course knowledge to her advantage on the way to a high finish. 2018 Boys Champion Corey Lamb misses out on a chance to defend his title after leading his Sydney club Concord into the semi finals of the Metropolitan Major Pennant Competition, but a strong field of talented boys will still compete and look to add their name to the Peter O'Malley Junior Masters Trophy. Josh Robards (Newcastle), Bart Carroll (Wagga Wagga), Ethan Chambers (The Australian) and Ripudaman Singh (Lynwood) headline the marquee group having all had JNJG Junior Masters success before but will be challenged by up and coming youngsters Max Jennings (Wagga Wagga), Keegan Phillips (Toukley), Ali Rachid (Kogarah) and local hope Cameron Jackson (Bathurst). Run in conjunction with the Peter O'Malley Junior Masters is the JNJG Regional Academy of Sport Academy Challenge. Academies from all over NSW have entered into the event, with their golf teams preparing for the Regional Academy Games that take place next month in the Hunter Valley. Many of the local stars from the Western Region Academy of Sport will be looking to put in good performances on their home course and keep the trophy out of the hands of the visiting academies.. Play gets underway at the Bathurst Golf Club at 7:10am on both Saturday 23rd and Sunday 24th March, with presentations to be held on Sunday afternoon at approximately 2:00pm and 7:00pm. A BBQ Breakfast will be available to all parents and players from 6:30am each morning. The BBQ at Bathurst is without doubt the best on the JNJG calendar and we encourage all kids and parents to take advantage of this and have breakfast or morning tea at the golf club each day. The club have also arranged for a Coffee Van to be on site and they'll be set up and ready to go from 6:30am also. The Bathurst Golf Driving Range will also open at 6:30am also using special opening hours to benefit our juniors. Please note that the driving range IS NOT located at Bathurst Golf Club and is a 4 minute drive away. 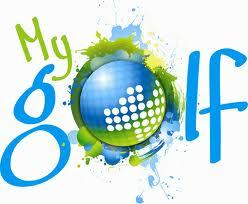 To visit the Bathurst Driving Range website to confirm the location, Click Here.